Adding app.earnnest.com to your home screen is the same as downloading an app. Earnnest is a web-based app available to use on your phone. 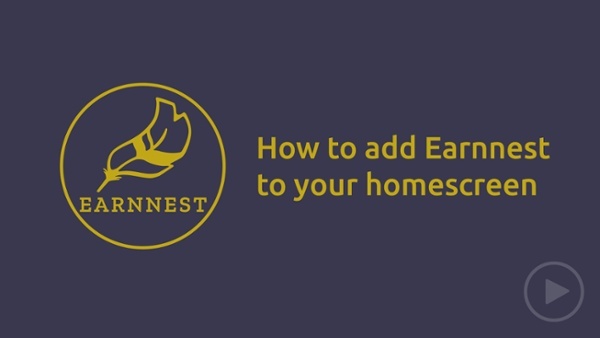 Adding app.earnnest.com to your home screen is the same as downloading an app from the app store. Open Safari and go to app.earnnest.com. Tap the share icon at the bottom of the browser. Earnnest is now saved to your home screen. Open Chrome and go to app.earnnest.com. Tap the menu button (three dots next to the URL) once the website loads. Open Firefox and go to app.earnnest.com.